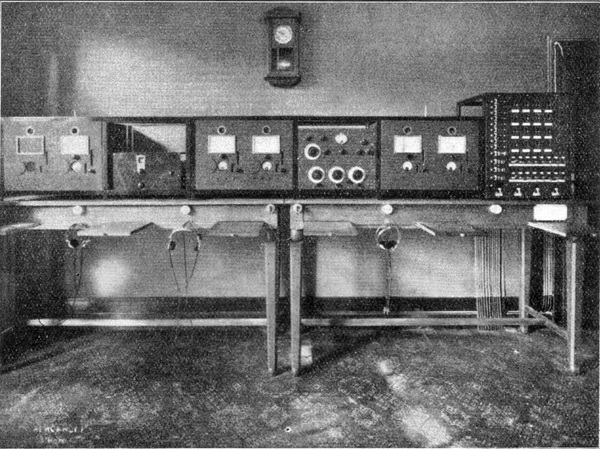 Immediately upon the establishment of the first European frequency plan in 1926, the various European radio stations were furnished with more accurate wavemeters than the ordinary commercial instruments in use. The Technical Committee of the International Broadcasting Union therefore created a "simple and robust model of frequency indicator correct to within 1 to 2 parts in 10 000". In 1932 80 European stations were using these IBU instruments, while most other stations worked with more local apparatus such as oscillation quartz, resonnant quartz, tuning fork etc. By 1927 experience had shown that there was a need to effect a distant supervision over the wavelengths transmitted. The displayed wavemeter located in the Brussels Checking Centre was designed to this end. After five years of working the Brussels Checking Centre had produced over 60 monthly graphs, representing about 400 000 wavelength measurements.